ClearEdge Power is delivering smart energy solutions today by providing clean, distributed power systems that scale from 5 kW to multiple megawatts. Their innovative products are created for a wide range of stationary applications and enable customers to significantly lower their electricity bills, improve the energy efficiency of their business, and reduce their carbon emissions. David B. Wright is the Chief Executive Officer at ClearEdge Power. 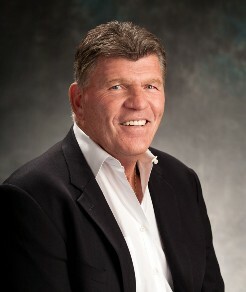 Prior to that, he served as Chief Executive Officer and Chairman of GridIron Systems from February 2010 to July 2011. Prior to joining GridIron, David was Executive Vice President, Office of the CEO, Strategic Alliances and Global Accounts of EMC Corporation from July 2004 until August 2006. From October 2000 to July 2004, David served as President, Chief Executive Officer and Chairman of the Board of Legato Systems before EMC acquired the company in 2004. Prior to joining Legato, David had a 13-year career with Amdahl Corporation, where he had served as President and Chief Executive Officer from 1997 to 2000. Before joining Amdahl, David spent 11 years with IBM, serving in variety of staff and management positions. David also serves on the board of directors of GridIron Systems, Verisk Analytics, Inc. and Geeknet. He formerly served on the boards of Active Identity, Aspect Communication, AMCC, Boole and Babbage and the Silicon Valley Leadership Group. David graduated from Xavier University with a BS in physics and a minor in mathematics. CEOCFO: Mr. Wright, what attracted you to ClearEdge Power? Mr. Wright: Before accepting the CEO position, I was on the board of ClearEdge Power. The more I became involved with the company, as the board chair said, �I started to drink the Kool-Aid,� and I wanted to do more. We are building a technology that is good for our environment and good for the future of our children. It is also a technology that the United States can be the clear leader in. That is very important to me. The more you understand this technology and the solutions that we provide to major businesses, the more it really does resonate with people. I have developed a passion for it. Of the 300 people we have in the company, I think everybody shares this passion about believing or doing something to change the way that we have to live, which is great. CEOCFO: What have you figured out at ClearEdge Power? Mr. Wright: The fuel cell industry has been based on talking about the technology. What we are trying to do is take a180 from that thought process, and organize ourselves from the customer perspective, understanding what their critical issues are when it comes to power. In this country, we are using more and more power every day. One of the things we started to look at was how can we become more of a solution provider. The customers are looking for secure power, better economics to run their business and sustainability. We have addressed our customer market that way. Mr. Wright: What we provide onsite power generation through fuel cell technology. We have been in this business combining companies now for over 50 years. Fuel cells combine hydrogen and oxygen to produce electricity, heat and water through a combustion-less process and our systems run off of pipeline natural gas. This country is rich in natural gas, so we are using this natural resource to create clean, efficient electricity and heat. In doing this, we have created a better economic model for the customer. The second thing we have created is a sustainable and secure energy source and by doing this, we address customers� objectives. When speaking to talking to customers we align our solutions with their requirements. Do they have to have power all the time and cannot afford to be down or do they have an environment where their electric bills are exceeding their economic model? We help them build an energy solution that works for their business needs. When those things mesh, we seem to be very successful. CEOCFO: Do most companies look at all of those components or for most companies does cost rule? Mr. Wright: I think that is a good point. For a long time, our company was built on the fact that we were focused only on the environmental impact of our products, but in this day and age, if you are running a company you have to meet your business objectives too and that includes managing costs. Usually, those types of environmental-only programs are put to the side in tough economic times. But if we can give customers an energy solution that meets there environmental or sustainability goals and makes good economic sense, we seem to be much more successful. In reality, nobody makes these decisions without having economic value to it. We just did a transaction with Verizon and they have a great sustainability program. When I sat with the senior executives, the projects also had to be economically feasible and we can do that. CEOCFO: How are you able to combine all of the elements? Mr. Wright: Most businesses have changed today. Today, most companies have an executive whose job it is to ensure the business always has energy availability. Those are the people that we are engaged with. Most of our customers like Coca-Cola or Verizon are going to look at other competitors, but they are also going to compare it to our outstanding value proposition. It is a journey combining everything, the environmental savings with the economic benefits and the project cost, but it is getting easier. More and more people are looking at fuel cells from a solutions standpoint. The good news is that they do come to us because we have the best technology out there from the standpoint of availability and experience. Mr. Wright: First of all, our biggest competitor is us. We focus where we have the best economic viability and where our products fit. When you look at the fuel cell marketplace, you have to break it down into certain areas. Some companies just deliver electricity, but we deliver electricity and heat, called CHP. When you look at our business model, we are able to go to a customer and not only provide electricity but also provide efficient heat. For example, in a Coca-Cola bottling plant, they put our technology in to not only generate electricity onsite, but they also utilize the heat for uses within their facility. That makes the project much more efficient and cuts down their operating costs. We are in a unique spot from that perspective. We do have other competitors and we compete not only with fuel cell companies, but with gas turbine companies and solar companies. In all reality, the customer picks and chooses a product based on their application need. Mr. Wright: We are focused primarily on North America and Korea right now. We will be introducing our products into Europe in the foreseeable future. When I took over the company, I am a big believer that you had to do what you say. It is not just the technology, but also the serviceability. We are more focused on North America where there is the highest economic value and where the state incentives are. CEOCFO: At the beginning of the year, you did an acquisition of UTC Power. What did that add and do you see acquisitions in the future? Mr. Wright: I have sold companies and bought companies many times. I always go back to the three basic elements you look at when doing an acquisition. The first thing you look at is the people, the second thing you look at is the intellectual property, and the third thing you look at is the customer base. Underneath that is revenue. One of the things we were able to do acquire was additional intellectual capital. The recent acquisition enabled us to strengthen our engineering staff by adding more quality people. The second was that we were able to acquire an IP portfolio. The R&D investment UTC made in this business was well over a billion dollars over the last thirty to forty years. The technology is outstanding -- this is the same company that helped to put people on the moon. You can imagine what kind of technology was required for that. The last piece of it was gaining reach by getting more customers. I think that there are many ways to grow. One is organic, one is with partners and the third is acquisition. You have to have a plan for all three. You have to have consistent organic growth and you have to have your culture aligned to that. CEOCFO: Would you give us an example of what you can do now at ClearEdge Power that you could not do before the UTC Power acquisition? Mr. Wright: Bandwidth, pure and simple. We were a small startup company. We had a technology that was more focused on smaller businesses, but when we acquired UTC Power, we acquired a larger employee base and technology that enabled us to focus on larger commercial customers. It enabled us to spread our engineering resources, so we can now start to work on next generation customer feature benefits and as well as features in the product to make it better, not just from a cost standpoint but from a customer delight standpoint as well. One of the things people always say to me is that it must have been a tough acquisition. If you look at it, a lot of the engineering people at ClearEdge Power up at Hillsboro, Oregon were ex-UTC engineers. They understood that piece of it. The second piece we got, which I think is important, is that you need a name in this industry. The reputation that UTC Power had with customers was over the top. We have a large number of ex-military and ex-navy individuals on our team, and that enabled us tremendously. It gave us a shot in the arm and vice versa. CEOCFO: What does the military component bring to the table for ClearEdge? Mr. Wright: My background is actually in the sports world, but the structured work ethics are very similar. One of the things that we have done for this company is that as we continue to recreate a new culture. We look at what we want to be when we grow up and how we can get there. I recently brought in four gentleman that came out of a top gun school to help us structure our company culture, and it resonated well with our team. What I was looking at creating was how we depend on each other and never let our teammates fail. One of my theories in running a company is that the company is supporting its individuals .One of the things the military does is depend on each other very well. It is very important to depend on each other because when they are in harm�s way that is what they have, each other. The second lesson that we took from our top gun friends was the importance of attention to detail. I think that attention to detail is such an important piece to the puzzle. In the sports world, for example, people go to training camps before the season. This is because they want to regenerate the fundamentals and I think that is essential. The last piece of it is that it helps develop a winning culture, which is a culture of a sense of urgency. Any military organization you look at is always ready and they always have a sense of urgency. That is very important when you are trying to grow a company that is in a competitive marketplace, and not what you would call the most mature market. CEOCFO: Why should people in the business and investment community pay attention to ClearEdge Power? Mr. Wright: I think that if you stand back and look at one thing our country needs is to understand is how to make sure we are secure in the future, it is energy. First of all, our energy infrastructure in this country is so antiquated. We are stretching out the bounds of energy use. Even brown outs are an issue for us now. I look at this and say that it energy is one resource we have to make sure is there for us. I think that when you look at energy supply and demand issues in this country, we are going to be challenged by that. The fact is that the antiquated transmission lines that we put in years ago are not going to be able to keep up with the future. CEOCFO: Do you have any final thoughts? Mr. Wright: This is an industry that continues to mature. What I am saying about that is that I look back at the history of the cellphone business, and unfortunately, I remember phones when you plugged them into your car. When you look at them today, you are not really buying a phone. You are buying a personal device that helps you communicate not just by voice but everything else as well. That happened fast. Apple changed it and made it an entertainment vehicle. I think that you are going to see fuel cell technology do the same, and at the same rapid speed it happened at with cell phones. My feeling is that it fuel cells are one of those industries where if you do not pay attention to it, you are going to miss it. It is exciting and it attracts great people. I get to have great conversations with people like the president of CBS Studios, who has our systems installed. It is exhilarating when you start talking about our potential.